We are very happy to share with you that the event we organised in August this year had been a beautiful success! Stay tuned on our Facebook Page for more information of our future events! Please don’t hesitate to contact us at alumni@icaam.org.my. 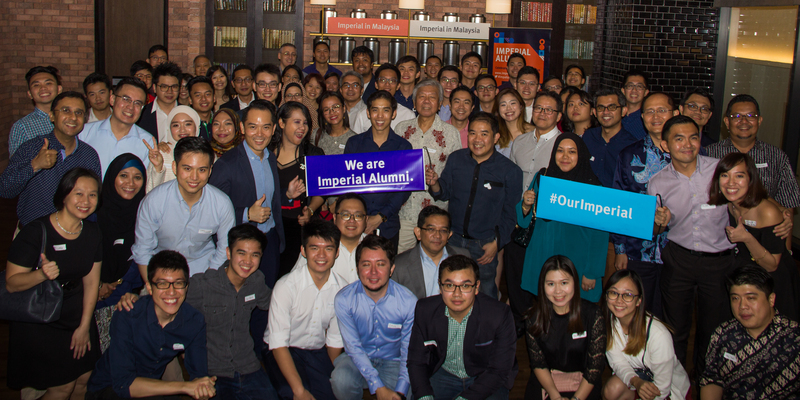 Imperial College Business School is proud to feature Professor Francisco Veloso, Dean of Imperial College Business School at a special evening reception for Imperial College alumni in Kuala Lumpur. This reception will give you the opportunity to hear the Dean speak about the Business School’s Strategy. Learn how to make the most of your connection to Imperial College whilst you chat and catch-up with fellow alumni. This event is open to alumni of all faculties. Please register in advance, as places are limited. Dear Imperialites, we are hosting a reunion dinner for you. 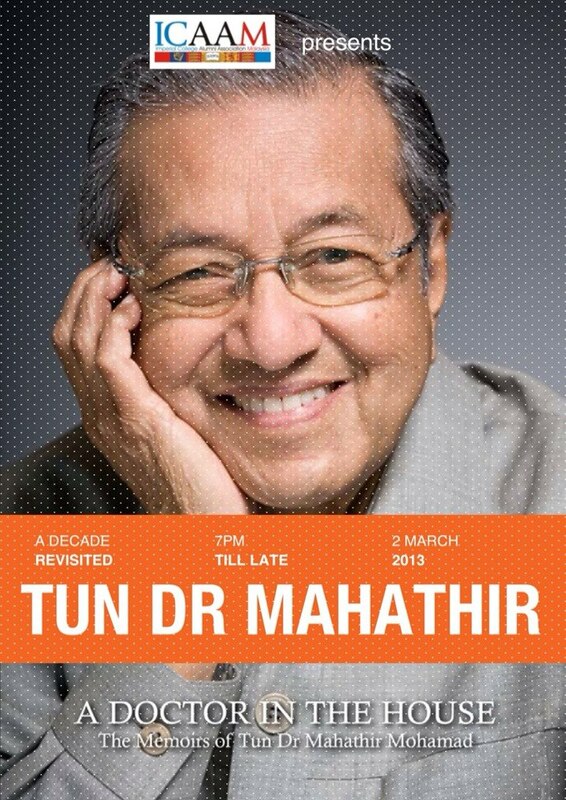 This dinner is exclusive to alumni across all graduation years from 1970s till now. So come along and join us over some good food and good company, and reminisce about those good ol’ times! There are two types of tickets: early-bird tickets (RM150) and regular tickets (RM180). So hurry and register here to secure your tickets! Welcome home Imperial-ians. 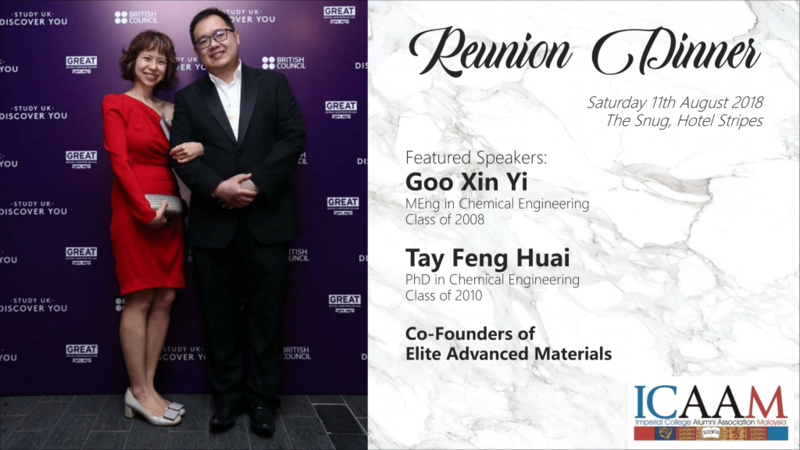 This dinner is exclusive to Imperial alumni and students be it you have graduated from Imperial a couple of years ago or you have just started your first year in Imperial a few months ago. This event aims to gather all young and old Imperial folks under the same roof to mingle around. 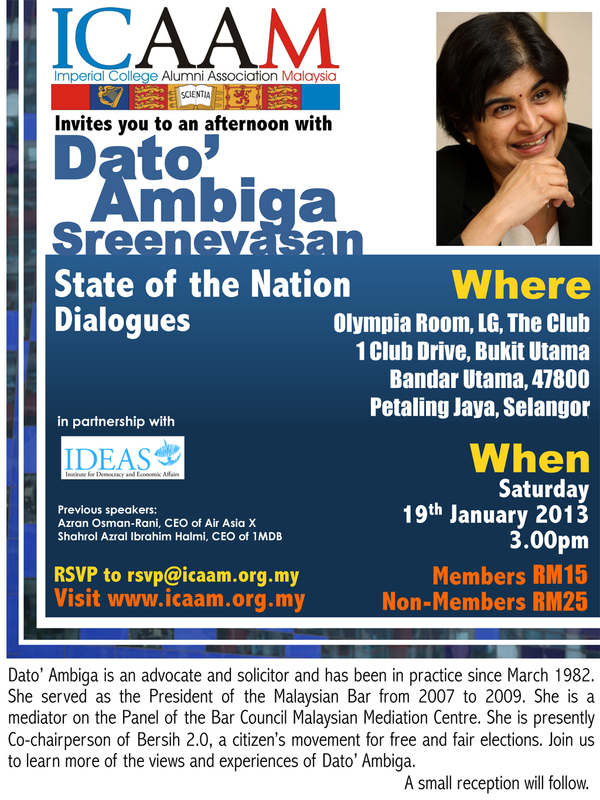 This event is co-hosted by ICUMS and ICAAM. 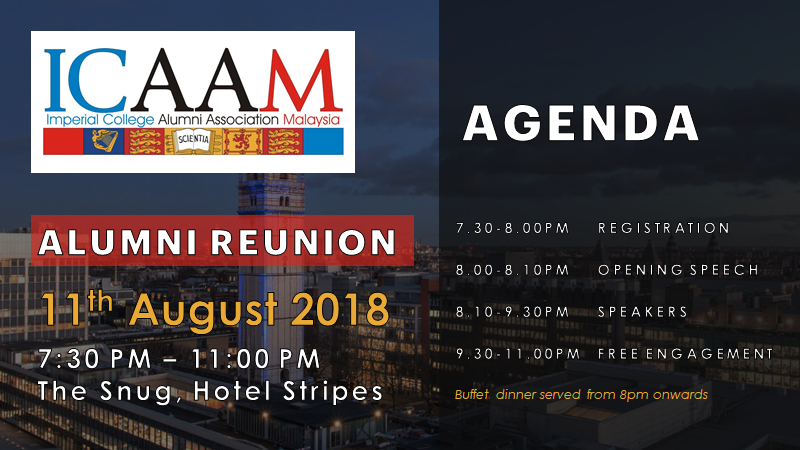 It is with pleasure that we invite your good self to the annual AGM 2015, where we will be able to share with you our plans moving forward in order to stay relevant to our current and future members of the Imperial College Alumni residing in Malaysia. You will be excited to find out that we have shifted our focus from the State of the Nation series where we featured distinguished guests such as Tun Dr Mahathir, Dato' Ambiga and Azran Osman-Rani towards a more relevant topic shared by both Imperial College London and Malaysians today: raising funds for businesses, social initiatives and startups, by organizing events that help us improve practical, entrepreneurial and intellectual skills as well as networks necessary to realising our dreams entitled the ICAAMRise series. 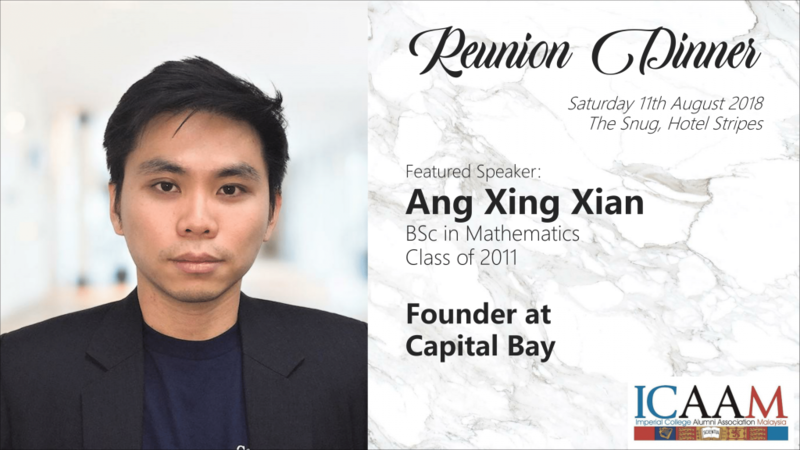 Put together by the committee, we have secured 4 prominent guests, of which two are fellow Imperial College London graduates, that makes up part of entire funding ecosystem and therefore able to provide advice necessary to take you to the next level! We will also be featuring startups owned by Imperial College graduates in different stages of cycle such as CatchThatBus, FashionValet, Konprogroup and Ittify, so if you have one, we'd love to feature yours too. If you have any questions you may have for us, do email us or send us a message at 012-2351165. Enquiries on sponsorship for this and future series are also invited, as our events will be advertised prominently at some of Malaysia's premier media including The Malay Mail, The Malay Mail Online and digital billboards at selected areas. See you there! 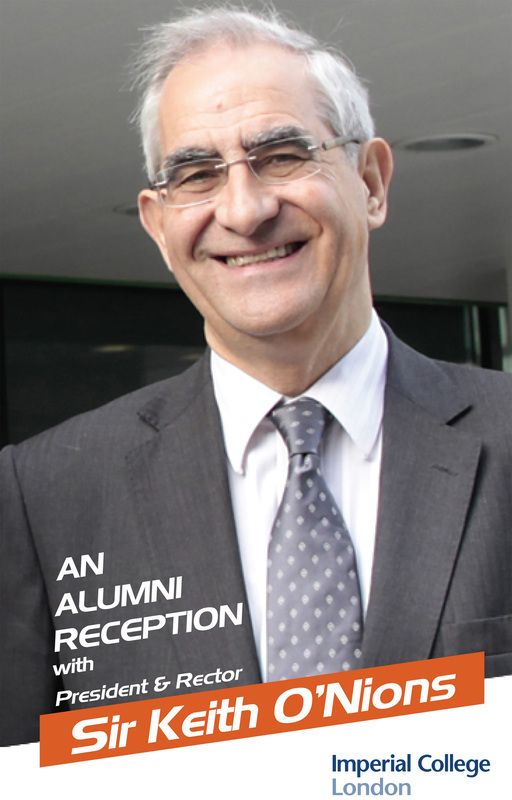 We are delighted to confirm that Sir Keith will be holding an alumni reception in Kuala Lumpur at 18.30 on Tuesday 15 July 2014 at the Shangri-La Hotel. This will be Sir Keith’s last visit as President & Rector before he steps down at the end of August. 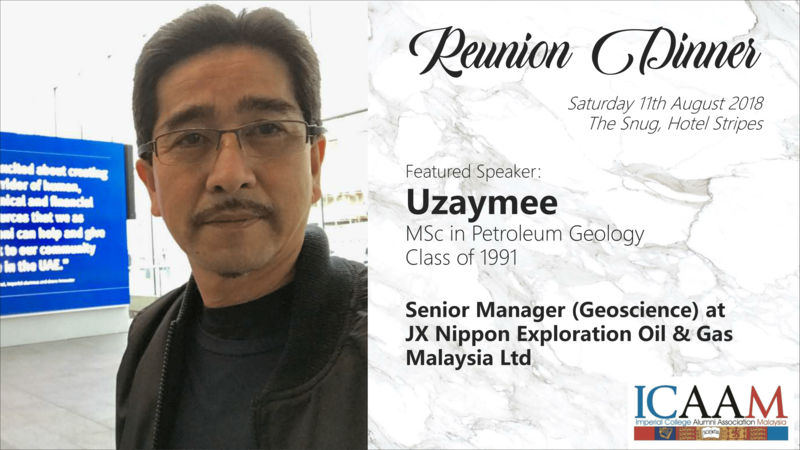 We very much hope you are able to make it and that you can help spread the word to your Imperial alumni friends in Malaysia who may not be connected with us. 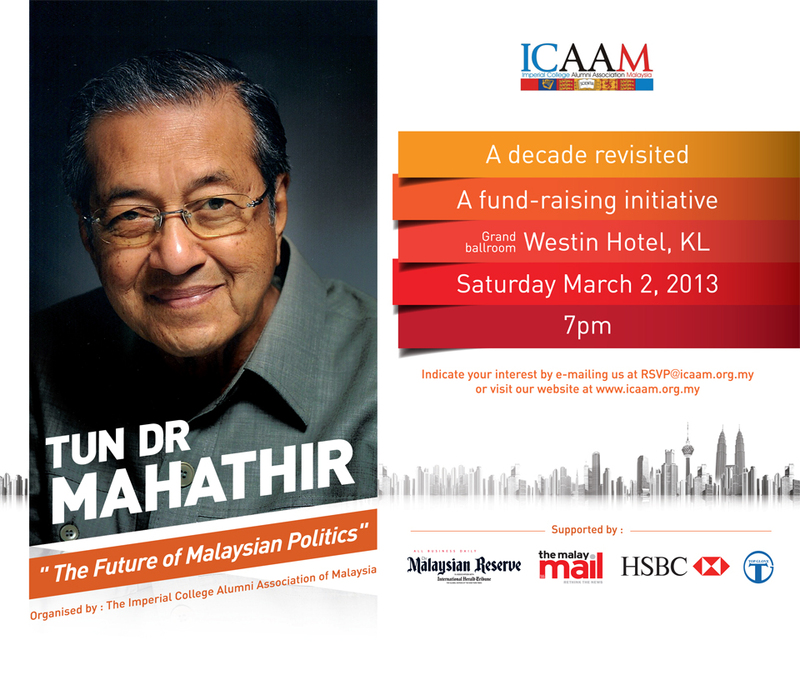 ICAAM presents you an evening with Tun Dr Mahathir on the 2nd of March 2013, a decade since his last visit on the 4th of July 2003 as a featured guest to our Gala Charity Dinner 2003. This fundraiser will help us build an education fund to support the needy. Like our page and join our mailing list right here to register your interest now. On behalf of UNU-IIGH, we are pleased to attached herewith the promotional brochure for Prof Bell’s talk – jointly organised by UNU-IIGH and SEGi University College. Parking is very limited in HUKM campus, so please come early.